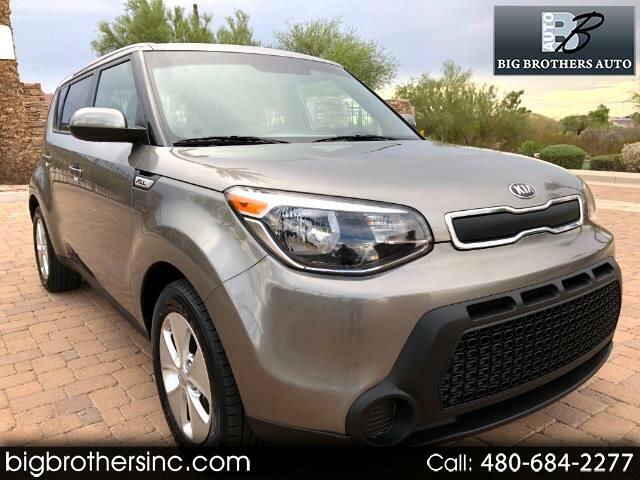 2015 Kia Soul with only 27k miles, clean title, 4cylinder engine, Automatic, Cruise control, power windows, power locks, hands free mobile communication, am/fm/sat radio, new tires and much more! This Kia is in excellent condition, non-smoker vehicle. We have also put this and every one of our vehicles through an extensive multi level inspection process to ensure all of our customers receive a turn key used vehicle with no worries. Please call or text John at 602-684-0202 with any questions, or if you would like to come out to see and test drive this vehicle. We have financing and extended warranties available for all types of buyers!